When I was young, I used to quit playing the trumpet, and my mother always said that I would regret it. And well, I have to admit that she was right. You have to know that learning to play an instrument is good for kids since it can boost IQ as well as the academic performance. Therefore, I have encouraged my children to play the trumpet and the cornet when they were kids. And firstly, it is very important for them to know how to hold the trumpet in the right way, so they can develop their skills quickly. If you are not sure about your posture now, I am going to show you the simple and easy instructions. 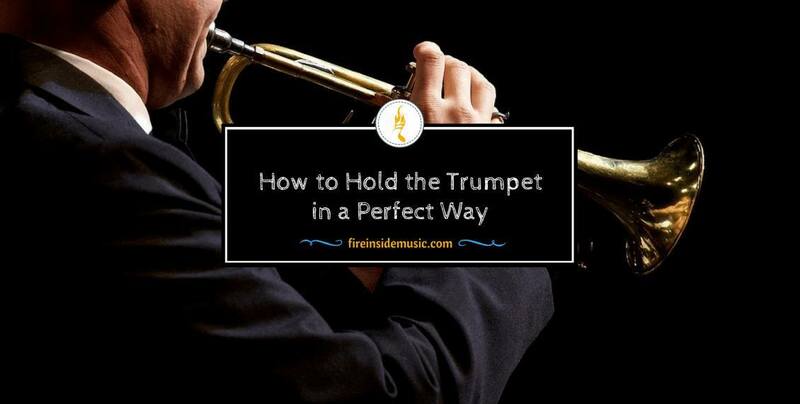 Before you begin to play the trumpet or the cornet, you need to know how to hold this instrument. This is the basic thing you need to learn as the trumpet players. After getting much experience, I realize that knowing how to hold the trumpet properly will help you to play better and better. In particular, you are going to use both of your hands. 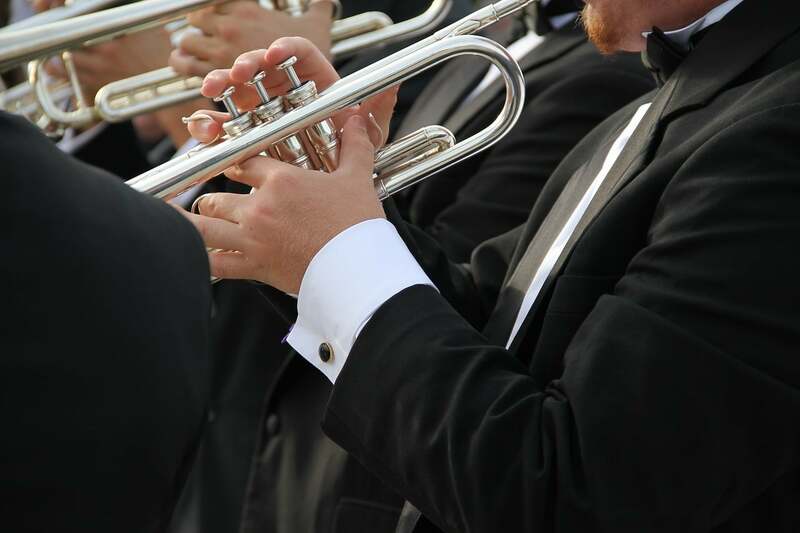 Your left hand actually holds the instrument and your right hand will stabilize the instrument. Moreover, the right hand will work to move the Pistons of the valves up and down. First of all, the left hand is very important since you need to hold the instrument tightly. However, you should avoid putting too much pressure and stress while playing the trumpet or the cornet. For every beginner as well as every professional player, it is a good habit not to grab the instrument. If you can see your red knuckles and white hands, you are grabbing the instrument too hard. You are not holding it, instead, you are grabbing the trumpet and the cornet. Thus, you are learning how to hold the trumpet with me. To have the great holding, you need to put your thumb on the first valve. Then, put your pointer finger below the third valve. With these positions, you can have a pretty good grip on the trumpet and not be in any real danger of dropping it. On the other hand, there are some variations with the remaining three fingers of your left hand. And well, it varies from player to player, depending on your hand size as well as what is the most comfortable for you. The most important thing is that you get one of your fingers in the ring of the first valve slide. Thus, you can control the third valve slide while you play the trumpet. Hence, try to put one of the fingers in the ring and a couple of fingers around the instrument. These days, many young people are putting the fourth finger in the ring. All the trumpets have the third valve ring. And of course, in case you have larger hands or if this feels uncomfortable for you, you can also use your middle finger and your pinky finger. But you should never use your index finger since there is too much stretch between the fingers. Once you get the position that feels comfortable for your hand size, you should make sure that you have a pretty firm grip on the instrument. So, you are not in any danger of dropping your horn. Besides, when you start to work the valves, the movement of the valves up and down does not bounce your horn too much. Otherwise, you can cause a wobbly tone while you are playing. Going to the next point, the right-hand serves as a stabilizer. So, you need to form your hand as an orange before putting into the trumpet. In particular, your right hand should be curved properly to have the great posture. Especially, you need to stick out your thumb straight and place it in between the first valve and the second valve. Many people are confused about whether to put in front of the first valve or not. But this is not the right way. If you put your thumb like that, you are making your right hand become tense. Your holding will not be very natural and proper as it is going to cause much tension in your arm. As a result, believe my instruction and use the position between the first and second valve. And then, your next three fingers will go on top of the valves. When you are operating the valves, I highly recommend that you should use the ball or the pad of your fingers to come in contact with the valve cap to work the valve up and down. It will give you the greatest control together with the most amount of freedom in your hand. Hence, you will be able to play for longer periods of time without any fatigue. In other words, you are not using the tips of your fingers which is going to give you a weaker movement as well as curl your hands a little bit more. This can cause cramping in your hand and your forearm. Also, you should not go over the top of the valves and press the valve with flat fingers, which is going to give you a sloppier movement. Lastly, your pinky should go either inside or on top of the pinky ring for the best position. On the other hand, your pinky can just float in the air while you play. With my experience, you may have some problems when putting your pinky into the ring. It will lead to the habit of exerting a little bit more mouthpiece pressure against the lips while you play. This is going to have a negative impact on your sound, your endurance, and your long-term embouchure development. I know that it is going to be very tempting to put your pinky into the ring. Therefore, I have a very simple tactic that I used to get in the habit of having my pinky float in the air. You can take a slip of paper, fold it in half, tape the edges and then put the staple through the middle. When you get the finished item, you need to slide it over the pinky ring to act as the little guard. If you practice with this slip of paper, it is going to remind you each time you try to put your pinky into the ring. In my opinion, it is a very simple and effective way to develop your habit of keeping your pinky out of the ring. Again, this will help the development of your embouchure by alleviating some of the backward mouthpiece pressure. It is also going to help develop the independence as well as the flexibility in your third finger. 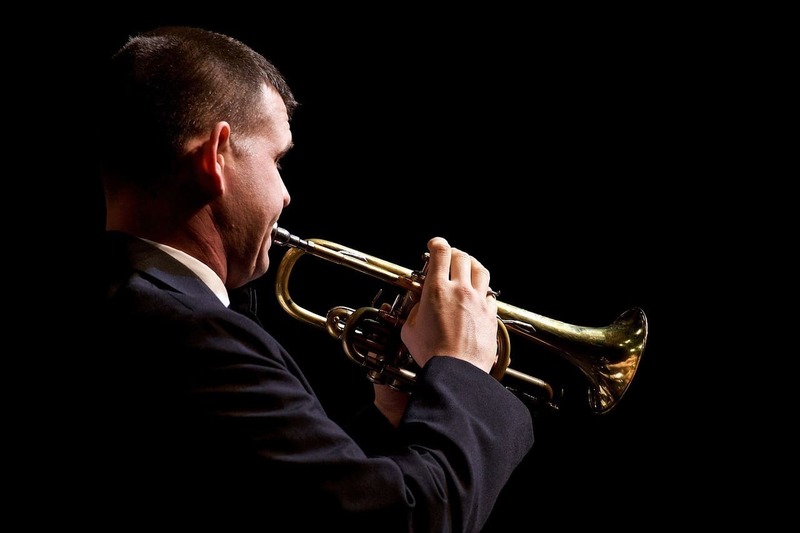 Now, as you know how to hold the trumpet perfectly and you are getting ready to play, it is important to have an upright athletic posture with your feet firmly planted on the ground. 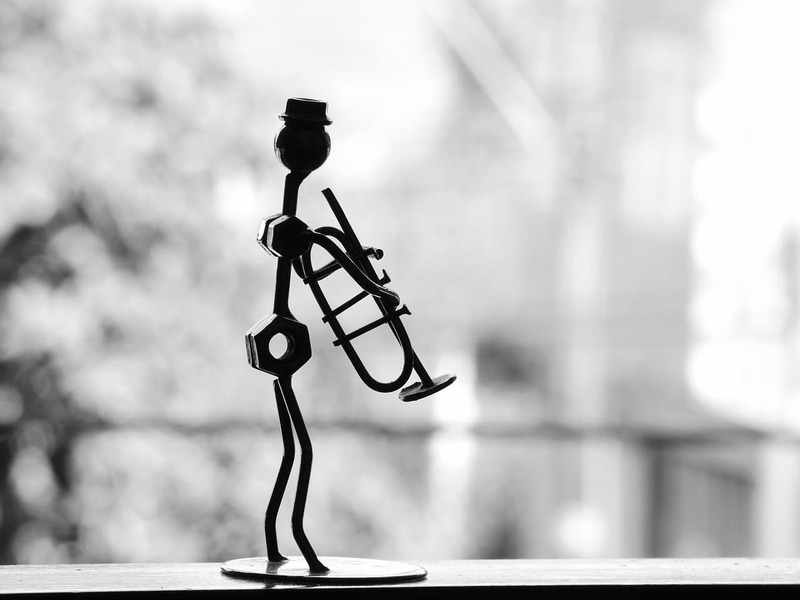 The reason that posture is so important while you are playing is while the trumpet is not very heavy, you are going to hold it for prolonged periods of time. If you have a bad posture, you can start to get a tight back, tight shoulders, and tight neck. All of these little problems will come up through repetitive movements. As a result, your posture is very important. Also, you can distribute the work of playing as evenly across your body as possible. This is going to help you with your endurance and it is going to make your playing much easier. Furthermore, you should hold the trumpet and the cornet pretty straight out. The more you stretch your left hand, the more you get tension up your arm as you get older. As a consequence, you need to practice much to have a very comfortable hand position. It is very easy to hold once you get used to it. However, at first, it is going to be a little tough, but you can do a good job if you try your best. And also, as you bring the trumpet to your face, you need to make sure the elbows are out wide enough to allow your rib cage to expand while you are breathing. If you are in too close, you can actually inhibit the breathing mechanism. So, you need to make plenty of room for the elbows and take an inhalation. The next note you need to notice is to bring the horn to your face, not your face to the horn. You always remember to maintain the upright posture with a nice natural head and neck alignment. By having this perfect posture, you are going to keep your throat and your neck nice and open. It will allow you the passage of air and help your sound. In addition, it is going to prevent you from getting overly tight when you play. All of these rules apply to sitting as well. When you get into the chair, resist the temptation and the urge to sit back. In summary, I wish that all of the sharing in this article will contribute to your understanding. In particular, you can know how to hold the trumpet as well as the cornet properly. However, in case you want to discuss more this topic, please feel free to keep in touch with me anytime.